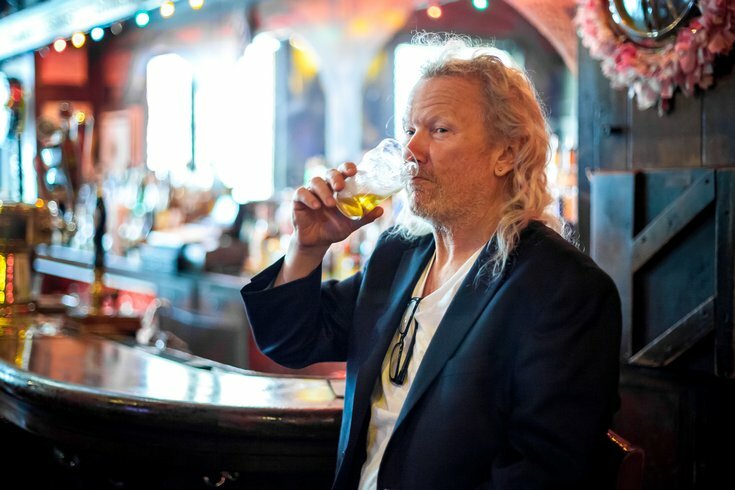 Fergie Carey, owner of the long-standing Fergie's Pub in Center City, drinks a beer during a photoshoot. Fergie's Pub is celebrating its 23rd anniversary by throwing a party, and introducing new menu items and happy hour specials. The party will take place on Monday, Nov. 26. As is tradition, jazz saxophonist Victor North and Three Blind Mice will perform from 7-10 p.m. They have provided entertainment at all but one anniversary event since the launch of Fergie’s Pub. What's new this year are the specials available from 4-6 p.m. Guests can enjoy $5 bar snacks and $1 off draft beers and house wines, during the pub's new happy hour. Look for additions to the pub's menu, too. “We really wanted to elevate the quality and get back to traditional Irish and Philly flavors,” said Jim McNamara, general manager. Below are the new items.